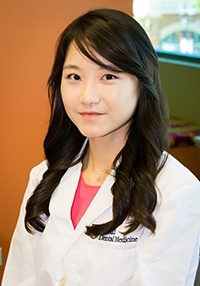 Dr. Ji Young Lim attended dental school at the University of Pennsylvania, where she received her DMD. Following graduation, she continued her education at the University of Maryland, where she earned her Master of Bio Science degree and her Orthodontic Certificate. Dr. Lim’s approach to orthodontics is all about her patients. She strives to treat each one as if they were a member of her family, taking the time to learn about their goals and expectations for orthodontic treatment. She wants to help every patient achieve a healthy, beautiful smile while empowering them to make wise decisions about their oral health. When she isn’t practicing dentistry, Dr. Lim loves to hike, travel, read, and see what’s cooking on the Food Network.